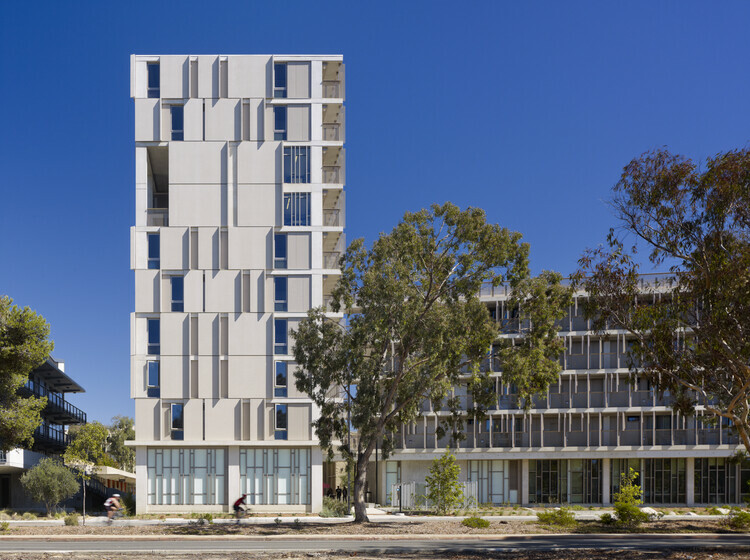 This student housing project for the University of California is Atelier Ten’s first 100% naturally-ventilated campus housing project. The mild and dry climate of San Diego is a rare opportunity to use natural ventilation as an extremely low-energy and low-carbon strategy for conditioning. The current conditioning scheme relies exclusively on natural ventilation to supply both ventilation air and space cooling. 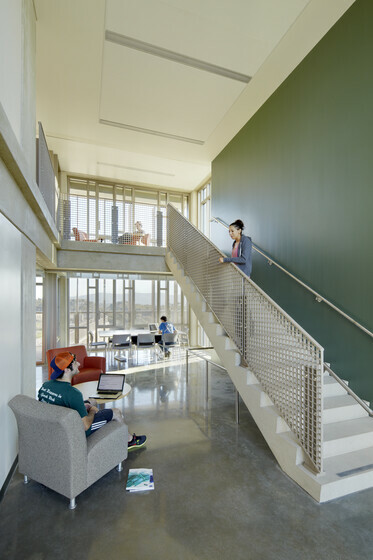 Operable windows in a majority of the spaces also provide an additional opportunity for students to manage thermal comfort. A typically water-intensive building type, the project also aims to reduce the burden on the municipal sewer system by the inclusion of greywater capture from sinks and showers for reuse in irrigation and of bioswales and runoff detention for on-site stormwater management.